Tradition, isn’t it, to write a post summing up the year? I’m getting it out of the way a few days early, because 1) I’m having a little flap about the current Work In Progress right now, and so this is a nice procrastination and 2) in a couple days I am seeing my family and will have no time for posts, only for them and actually finishing a reasonable first draft of the WIP. OH GOD I’m in imminent danger of being a writer bore, I’m so sorry. Here’s a quick list of good and awful things that have happened over the course of this year, as much as I can remember on a mid-holiday day when I should be doing something else. Does anyone else get to the Monday of a bank holiday weekend and find themselves feeling down about how little they accomplished over the previous two days? And about how much they have to cram into the Monday because they did all the fun stuff already but also wasted quite a lot of time playing stupid fecking Facebook games and can’t seem to just start the things they ought to be getting on with? And then procrastinate further by writing a pointless blog entry? Ok, not totally pointless, but I’m not going to actually report on anything. Just mumble quietly about life. Are you sitting comfortably? Then we’ll begin. This applies to everything. Everything. In the past week we’ve had one of our dogs down the vet being checked for what is, in all likelihood, just middle age rearing its head. I’m not going into the full details of what’s actually been up with her, but there’s a combination of relief that she’s not got a terrible disease combined with sheer sadness that our beloved idiot pooch is actually starting to show her age. And then it’s a really easy hop-skip-jump to everyone’s getting so bloomin’ old. My parents (who read this, actually: HI MUM AND DAD (and also sorry for this bit and also a joke near the end that you’ll hate) are now, to me, reaching the age and level of health difficulties where I’m wondering if living so far away is selfish of me; I should be closer. Not something I’ve actually discussed with the Coffee Monster, btw. But it’s on my mind. And it’s not just them – we are on a stroke count of 4 in adults of that generation that I know and love. Heart attack count: 3. And no more grandparents. My parents are the grandparents now. It’s terrifying. Also, not entirely unrelated, it’s my birthday in a couple of weeks, and we all know that I’m totally calm about the getting older thing. I bought hanging baskets on Saturday. Hanging baskets, for outside the house. With little flowers in them. Shut up. For probably the first weekend ever (or at least in a long time) I did not write a To Do list this weekend. Because I never do everything on the damn list, and that makes me feel worse. And I find it overwhelming to read. And I just had enough of having things to do all the time. CM said yesterday that ‘I know I take forever to get things done, but then at least I know if something is really niggling at me, I really do want to do it’. Which is one way to look at it, and there’s nothing quite like the relief of having scratched that itch after months of itching, I guess (I’m awaiting this feeling on a few fronts at the moment). Not sure the relief is worth the torture, mind. I think I’ve had a few too many of these things on my mind for too many months. Partly for work. Partly just me – which means I ought to just be able to forget them, but I can’t. I really, really do not subscribe to the more spiritual conversations about being a writer. They downright irritate me, actually: ‘I just have to write. My soul pours out on the page etc etc.’ Usually in more flowery language than that, but I can’t bring myself to go there. Annoyingly though, stories really are an irritating bloody thing. They really do squat in my brain pan and witter on at me in the background all day. And I’ve got two long projects which will not shut up ‘til they’re done. I know that, and it’s making me miserable. I’d feel better if I just finished the first draft of one of them. I really would. Expectations for myself of things I’d like to do are just as bad – those things ranging from actually performing some music to actually buying a car. There’s like a big mental freeze on it all, and there really shouldn’t be. So I’ve sort of belatedly realised that if I can scratch that story(&ors) itch first thing, with just a few words of some sort, any sort, then I can focus on the more boring work I need to get done far more easily. I don’t know why it’s taken me so long to figure out why I freeze in the face of a lot to do, and how to break that freeze (NEARLY 34 YEARS). I think I subscribed to a sort of dinner-time approach to work. Like, ‘If you eat all the vegetable jobs first, then you can have the ice cream writing afterwards’. But I’m a backwards-eater in To Do lists as well as in food, it seems. This was the nicer analogy, by the way. I nearly went with the one about wanking before going on a date. I suppose I should just go and get on with it. Currently reading: Erm. Nothing, actually. For shame. Five days into 2013 and how are your resolutions panning out? Did you make any? Have you stuck to them so far? People I know have, this year, covered all ranges of Resolution attitude from ‘Didn’t make any/no point/why wait for a particular date to change your life?’ to fairly lengthy lists of things they want to change or achieve. There’s been the usual abundance of ‘How to keep your resolutions’ and ‘Why resolutions fail’ articles bouncing about on the web, as well as lists of the most common resolutions, and of course I’ve read everything I came across. I’m actually in the ‘I didn’t make any’ camp, but only because come up with new resolutions pretty much every Monday morning, and then fail them by Tuesday evening. The resolution is usually something along the lines of ‘I will stick to my training plan’ or ‘I will eat healthily’ – both things that I really should not be failing to do at this stage, because I face certain death somewhere in the hills of Exmoor in June if I don’t kick my own arse into shape. On the more long-term side of things, I had that 1001-day list. The one that started this blog in the first place, years and years ago. Obviously I failed to hit the number of blog entries I was supposed to write according to that list (52, one a week for a year – should have been easy), but at least I’m still trying, even if I’m slow. That approach is my standard; it works with triathlons as well. 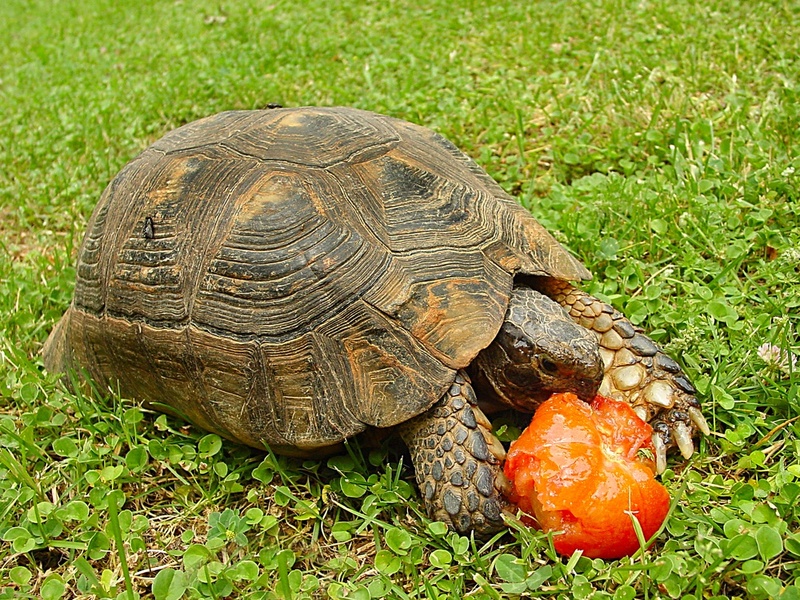 The healthy-eating tortoise is my spirit animal. Slow and steady brings you in at about 11th to last, most times. So, anyway, I started this year with no intention of trying to stick to a list of any kind. However, that my first two purchases of the year were a voucher for IPL and a steam-cleaner for the carpets, and the fact that I’ve spent the first three days back in London doing a mammoth overhaul of my flat (ok, this is more a joint effort), and that I asked for (nay, DEMANDED) a brand spanking new gym bag for Christmas probably say more about the ‘little’ changes I’m definitely not making than my mouth does. And Coffee Monster signed up for the Paris Marathon, so between the two of us this place is going to be a perfect haven of health and fitness for the next few months. Probably. The New Year effect sneaks in even if you don’t want to pay lip service to it. It’s been a couple of years since I’ve written an entry. Something of a disappointment, really, given that one of the items on the list I intended to blog about is to write 52 entries. Supposed to be one a week – how difficult could that have been?